Oh, the plight of the in-house creative: at the holidays, you're lucky if someone gives your department a tin of those horrible butter cookies, no fancy boondoggle trips and worst of all…no respect. 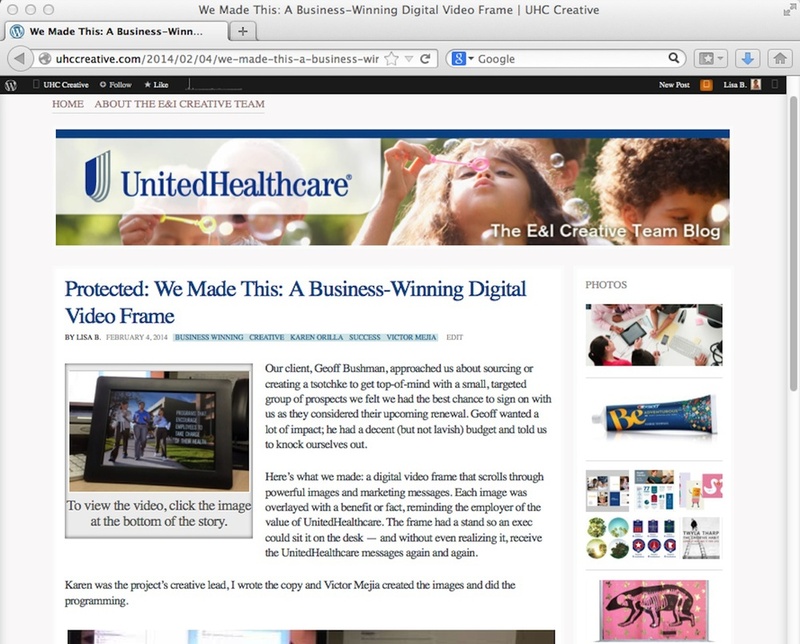 I came up with the idea of promoting UnitedHealthcare's in-house creative team with a blog, similar to that of an external agency. I set up, wrote, selected and edited photos and did everything else for this blog that positions the department as credible, experienced, talented and plugged into the issues of advertising, marketing and health care communications. Content on the blog is password-protected; email me if you'd like to read it.